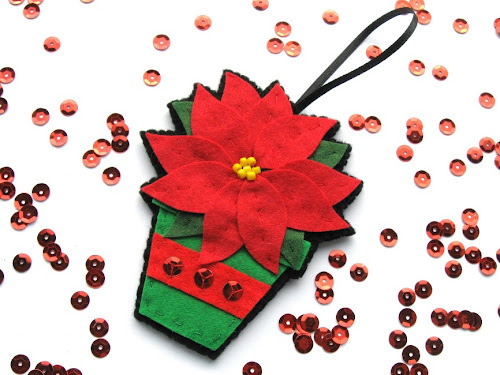 The final Christmas ornament I designed for Tesco Living is... a felt potted poinsettia! Click here for the step by step instructions and templates. For more fun festive projects, check out my free crafty tutorials. Sweet, Laura :)) thank you.